Nice expanded Two bedroom Hudson P2502 model home on large corner lot in Cul-De-Sac. 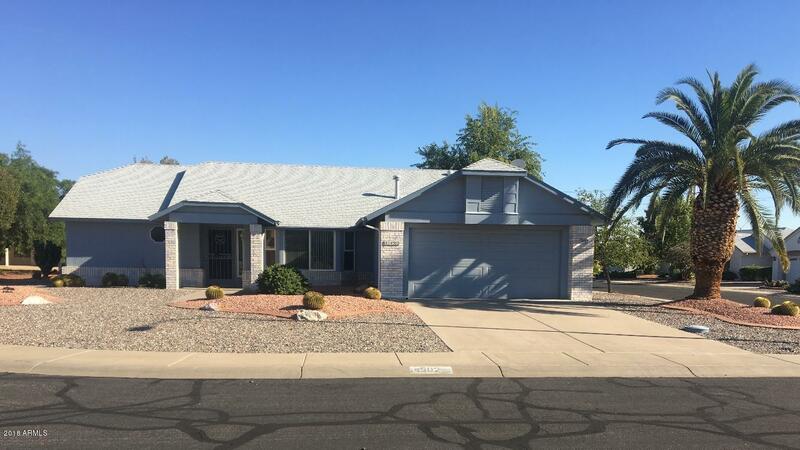 Included in the square footage is a nicely added heated and cooled Arizona/Bonus room perfect for hobbies and crafts or home office. Cozy home with just the right amount of upgrades including: Newer roof, newer windows and doors, updated guest bathroom, AC unit (2017), and newer water heater. Master bedroom features a bay window, a large walk end closet and private bathroom next to large vanity area. Indoor utility room with Solar tube for additional light to save even more on the energy bill. Lots of cabinets and storage. Exterior of home is complimented by beautiful mature trees and desert landscaping!